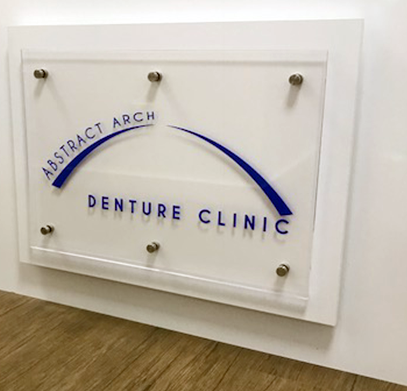 Abstract Arch Denture Clinic has been restoring the smiles of Eastern Suburbs residents through personalised service, expert care and quality craftsmanship. Abstract Arch Denture Clinic specialises in implant retained dentures, both full and partial dentures, repairs, relines and emergency situations.We pride ourselves on our personalised service, using only the highest quality and latest technology to expertly create the solution you’re after. At the first consultation with Greg I knew I had the right person for my needs.The treatment planning and costs were discussed at length it was concise and comprehensive. I felt so comfortable knowing exactly what was ahead of me both intellectually and financially. Prior to my Surgery I had met with Greg on several occasions to plan the appearance of my dentures. I was extremely anxious about the outcome. He was incredibly patient and understanding and spent alot of time until I was comfortable with my decision. Now almost a year on I am sincerely ecstatic with the appearance and character of my dentures, not to mention the fit and comfort which is outstanding. I found Greg’s phone number on line. I found some cheaper quotes and some more expensive than Greg’s but in speaking with him I was clear on what I could expect for my money. Greg explained that his dentures were patented, that his price was fixed and that we would work as a team until I was satisfied with the end result. I must have had at least 7-8 consults before Greg was happy with the results all under the fixed price. I could keep going back until the dentures were 100% comfortable. The finished result way exceeded my wildest expectations. I have had dentures for the last 59 years and not once have I been as happy as I am with Greg’s dentures. It has taken years off my appearance and I can eat anything I like. I now smile with confidence and the compliments just keep coming. What a wonderful business! Their dedication to providing a memorable customer experience is second to none. From Greg Nash to the reception staff (Tracey), every moment was enjoyable. Every option was clearly explained to me in easy to understand terms.If you're looking for a denture clinic that is friendly, helpful,hi tech and truly wants the best for you, look no further than Abstract Arch. I walked out with a new smile and outlook on life thanks to Greg's very caring and professional mannerI would have no hesitation recommending this first class practice to anyone Many thanks Greg!